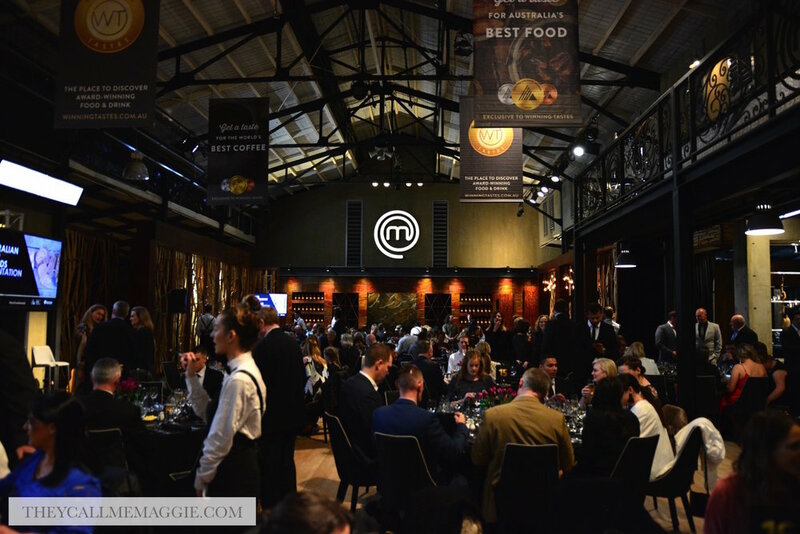 Earlier last month, some of country’s best and finest food producers gathered under one roof at the MasterChef set for one of the biggest nights in the industry: The Australian Food Awards presentation dinner, 2018. Accompanying the presentation was a delightful three course dinner crafted by The Atlantic’s Executive Chef Nick Malook and the finest produce on hand. Dishes featured ingredients from the medal-winning listing in its purest form, highlighting the sensational quality of the produce and allowing them to shine on the plate. The results? Absolutely delicious. You can check out the Royal Agricultural Society of Victoria website for the full list of winners, and hunt down the products for yourself! Buffalo ricotta, beetroot jam, lamb bacon, chia crisp and sorrel. Roasted kingfish - with cauliflower, black garlic glaze and morcilla crumb. Kiwami wagyu striploin - with white miso and charred leeks. Davidson plum brulee - with fresh madeleines and lime marmalade. Petit fours: award-winning chocolates and biscuits. Disclosure: I attended as a guest of Royal Agricultural Society of Victoria (RASV). All opinions expressed in this post are based entirely on my experience and observations made during the time of my visit.